Why does everyone hate the family courts? And what – if anything – can we do about it? The is a post by Sarah Phillimore, with a significant contribution by two parents; a mother who nearly ran and a father who has now lost a relationship with his child. I am very grateful to both commentators. In our various exchanges we have at times doubted each other’s good faith but have persevered to try and have a conversation about something important. In November 2018 I attended a conference in London where it was asserted very clearly by a speaker, with the enthusiastic assent of almost all the (female) audience, that family courts were tools of misogynistic oppression and decisions were routinely made in favour of violent and abusive men who used accusations of ‘parental alienation’ against the mother as a cloak for their own abuse. In January 2019 I became aware of Ellie Yarrow Sanders who had ‘gone on the run’ with her 3 year old son just before a ‘significant’ court hearing involving his father’s application for contact. The Transparency Project have written about the background to and media attention around this case. A petition has been organised to allow the mother to ‘tell her story’; already circulating on the internet is a letter purportedly written by the mother about how she felt she had no choice but to flee the father’s abuse. The Women’s Coalition who support the mother, have referred to the Judge in the case lying and ‘distorting evidence’; it is asserted that the appointment of a guardian for the child necessarily means he is going into State care – which is of course, not true. The Women’s Coalition is launching a counterattack to this public lynching of a wonderful mother, just like in the Samantha Baldwin and Rebecca Minnock cases [see link below]. Both cases engendered much public outrage about judges taking children away from loving mothers and giving them to controlling and abusive fathers. Help make this post go viral too! The difficulty with this analysis of course is that Rebecca Minnock was found to be ‘manipulative, truculent and attention seeking’ and to have caused emotional harm to her son; he no longer lives with her. Samantha Baldwin gave her children drugs and made false allegations against their father. So what the Woman’s Coallition says no doubt feels very true to them. But has found not be to true on a number of occasions. Of course, no doubt they will say this is due to the (male) Judges who actively hate women or can’t be bothered to educate themselves about the extent and nature of male violence. On the other side of the debate of course are the groups such as Fathers 4 Justice who will assert that women are no more than hysterical alienators of children and that the family court system bends over backwards to meet their every spiteful demand. So what is going on? why are the two sides of the discussion so polarised? Why is our public discourse about this so often hysterical and toxic. so unwilling to admit any shades of grey to a narrative of ‘abusive men’ or ‘lying women’. I had an exchange recently with one visitor to my site ‘John’ who was commenting on my post “Are the Family Courts biased against men?” Our initial exchange was quite dispiriting. We were both rude to each other. However in some post Christmas miracle, we were both able to reflect on our mutual NY resolution to be more mindful of our language on line and John made the following comment which I set out below in full. I think it is an articulate distillation of the fundamental issues – which I think boil down essentially to pain, fear and distrust. There is little wonder that father and mothers can end up seeing the same situation in radically different ways; their perception and understanding clouded by pain. But equally there is little doubt the the system itself often operates to make things worse. I have commented before and at length as to why I don’t think the court system is ever the best place to attempt to unpick toxic and failing relationships – but it is our only place and it is surely better than deciding a case on the basis of who can gather more ‘likes’ and clicks on social media. Like John, I now consider the only way to attempt to counter the persistent and dangerous flow of false information, fear and misunderstanding is to open up the family courts to greater public scrutiny. EDIT Jan 9th – I have now included an account from a mother who gives the other side of the coin. She nearly ran but didn’t as she was lucky enough to find a lawyer who had the time, patience and ability to explain what was going on and help her anxiety. I agree that this is a very important part of the problem – too often I think lawyers make assumptions about what parents understand or worse, don’t even care that much. A necessary survival ability to ‘switch off’ when dealing with human distress and misery on a daily basis, can if left unchecked develop into a callous lack of concern. If parents are finding it so hard to understand what is going on, those of us who are lawyers have to consider more carefully what part we are playing in this. The above sonnet will resonate with many readers since this is what it feels like when you are cut off from your child. I would like to start by remembering that Fathers and Children have feelings, as well as mothers. I can appreciate, that working daily in the Family court system you must encounter many occasions where people have helped to create or compound the problems they now grapple with. I am sure that the courts also have to deal with lots of cases of genuinely vulnerable, at-risk children. However I feel that it is rather too glib and superficial to maintain that the system is not at fault – it’s the people using it! If I may draw an analogue – if I were to design a car that required an expert driver otherwise you would crash, it would not be an adequate defence to maintain that it was the driver’s own fault that they crashed. In a similar way, surely it is reasonable to expect a court system to provide maximally just and equitable outcomes. Maximum happiness with flawed material, if you like. Of course I, and many others, tend to view the Family court system through the prism of their own experiences. It makes objectivity tough. I would also expect that the people who tend to contribute to blogs like this, are those that aren’t happy. I do feel that an important factor is the secrecy surrounding the family court system and the consequential lack of reporting on, and analysis of decisions. It makes gathering accurate metrics and statistics hard. There seems to be a lot of anecdotal evidence, particularly with the rise of the internet and social media. Social media is not the best platform for a sensible debate. I mentioned earlier that I read somewhere that the great majority of the time in the UK, the child resides with the mother. I honestly can’t cite the source. But unless we also know how many times that decision was contested, or was it by mutual agreement, and the circumstances, then we don’t have all the facts to formally establish bias (or lack of). Without facts from careful analysis of hundreds of thousands of cases, we are tempted to fall back on ‘belief’ which is often founded on personal experience or on hearsay that confirms our prejudices. I recognize that the court has a responsibility to protect the interest of the child. I also feel that the court has a responsibility to ensure that both parents are treated equally justly & fairly. If we take it true though that the child ends up with the mother most of the time, then I feel that it follows that if the court must protect the child, it must also may, to some extent give greater protection to the parent the child now lives with, which could lead to an unequal treatment of resident v non-resident parent. Another problem is the adversarial system that promotes conflict. It also provides employment and income to a great many people and there is an awful lot of vested interest in continuing that – and there has been for hundreds of years. Anecdotally, many ‘resident parents’ knowingly engage in false accusations of abuse or in behaviour directed towards parental alienation as a means of exacting revenge against their ex-partner. They are assisted by lawyers who have a vested interest in promoting conflict. There do not seem to be many instances where that behaviour is punished and reported on. The one I recall reported was a case from 2004. Interference with visitation and blocking of access has certainly been my personal experience. Am I the exception or the rule? Hard to say without statistics. In my own case, I was disgusted to discover that the court seemed far more willing to accept my ex-wife’s word that I was ‘abusive’, despite their being no evidence, than they were to accept my word that she was interfering with visitation or engaging in alienating behaviour. I can understand why – it’s a lot safer and easier to prevent a dad seeing his kid ‘because he might be abusive’. But for those dads who have honestly done nothing wrong, it can feel like an uphill struggle. As I alluded to before, the fact that these important decisions are not made by jury, but by a single human being, also is not helpful. I would imagine that the cases are often influenced by reports from social workers, agencies and so forth who are not subject to independent scrutiny. In an ideal world there would be no divorce. Perhaps co-parenting after divorce just simply does not work. Sigh. I don’t know. I didn’t file for my divorce, I didn’t ask to lose my child and I didn’t ever abuse my ex-wife in any way. It makes me very sad and occasionally bitter and angry that I have been an unwilling part of a process which I was powerless to stop. In the end, it is the child that suffers most. I have been forced to move on. There is no point in spending my entire life fighting a battle I cannot win. I have another child and I can cope with the loss of the first at great personal sorrow. However my son can never have another father. It’s been some years since my decision not to run. I have met and instructed several lawyers since then but not all made me feel like a person and less like a process. This is an important factor in understanding why someone might not be able to trust their lawyer and feel they have no option but to run and we need to talk about this, as it goes hand in hand with misinformation about the family courts. 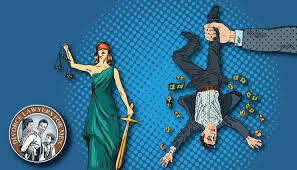 The law is there to protect but, all too often, a lawyer is seen as working a system instead of working for their client. This is a myth the law needs to work much harder to put right or more people, like Ellie, will feel they have no option but to run. Although I rarely liked what my lawyer said, I learned to trust that she was working for the best outcome. It wasn’t an automatic trust. She translated the convoluted legalese into language that my permanently fearful self was better able to digest. She deconstructed the law and made it less intimidating, which was key. She understood my irrational fear of social workers yet she did not dismiss it but helped me to see what their role really was instead of the role I had assigned to them in my head of the Childcatcher from Chitty Chitty Bang Bang. My lawyer remained patient and continually kept me informed every single step of the way, allowing me to process what I didn’t understand, often explaining on a loop. She understood that my exhausted body was permanently flooded with adrenaline, geared for threat and very, very bad at assimilating complex information so she would frequently offer a HUGE dose of calming perspective whenever something had upset me. Before each hearing, she would meet me in a café, so I would not have to go into court on my own. I believed my lawyer would fight my corner. But what made me want to run? Things changed with pregnancy. It had started subtly enough. I found it difficult to breastfeed. He stood behind me and watched like a hawk- criticising at any given moment. It started when he told me my breast milk was inferior. That I was starving the baby. That the baby was better off having formula because you could see the ingredients on the packet. He was attentive and charming around the Health Visitors but once they had gone, he monitored everything I did, telling me I was useless because I couldn’t get the baby to sleep through the night, I couldn’t keep the house clean, I couldn’t do the most basic things that most new mothers found second nature. My struggles with parenting a newborn, the difficulties with breast feeding, baby blues and exhaustion were all cited as reasons for just how crap I was. I wasn’t a proper mother. Constant digs that I wasn’t coping with what should come naturally for a mother, led to him suggesting that if he didn’t support me, my baby would be taken from me . He told me he would prevent that from happening because he wanted my baby to have a relationship with me – even if I wasn’t a very good mother. I was at rock bottom and believed him, spiralling into an ever increasing mass of inadequacy. He told me that I was disgusting, that I was no longer attractive and he was doing me a favour by staying with me because on my own, I would end up begging on Oxford Street. It never stopped and I started to believe that the only thing I could do, to keep my child with me, was to get away from a system that seemed hell bent on separating us. I was too scared to speak to my GP, fearful it might set the child removal wheels in motion. In fact, I was terrified of anyone whose job it was to support and I have heard many women share the exact same fears. I remember how grateful I was, that he would allow me the chance to be a mother! I say all this because it worries me that people aren’t getting the help they need. I worry about Ellie and hope she has a lawyer who will take the trouble to understand her reasons for doing what she did and not demonise her. I hope she has a judge who will understand why a mother might run and who can acknowledge that decisions like this won’t have come easily. I hope the judge asks what made her take the risk? What was going through her mind? What had she been told? What kind of support did she have around her? Which professionals could she trust? What was her relationship like with her lawyer? What was her greatest fear? All of this even before considering whether her ex was abusive or not. I don’t believe that many lawyers and judges are fully cognisant of just how imposing and intimidating court can be and how, when faced with the prospect of genuinely believing your child will be removed, how someone might see that their only option was to run. For a person to have faith in the legal process and the court, the court needs to work harder to show that that faith has been earned and I cannot, hand on heart, say that it has. This entry was posted in Other thoughts and tagged bias, Ellie Yarrow Sanders, family court on January 8, 2019 by Sarah Phillimore. Are the family courts biased against men? Too long, didn’t read: No. But as ever, its more complicated that that. This is clearly an issue that generates strong feelings. If there is no bias in fact there is certainly a perception from many that bias exists. What is going on here? And what if anything can we do about it? On Saturday March 18th, I spoke at the Families Need Fathers’ Annual conference in Bristol. The text of what I said is largely what is set out in this post so I refer you to that for more detailed consideration of the statute and case law that informs my views. I have already commented on accusations that I am ‘sexist’ in this post, which may also be worth a read if this is something that concerns you. All I can say is that I was grateful for the opportunity to speak before an audience that was overwhelmingly male and I hope I engaged respectfully and listened carefully what these men wanted to say to me. I am not ‘sexist’. I speak the truth as I see it. If you disagree – tell me and tell me why. But don’t fall back on stale and tired insults. The issue of real or perceived bias sparked some interesting debate at the conference and later, via Twitter. The issue of how family courts treat men is certainly one we need to address, given the strength of feeling it engenders. I was very concerned for example, to hear at the conference on Saturday that Dr Sue Whitcombe was alarmed by the bias she perceived from such agencies as CAFCASS, against fathers. The President of the Family Division urged her to raise this with the ‘top brass’. I hope she does. Justice must, after all, be seen to be done. Why can’t a father just see his kids as and when he wants? simple yes or no ! Can a father see his kids without mums or courts permission after separation ? This superficially simple question encapsulates the difficulties in this area. Is the family court deliberately, systemically biased against men? Is it sanctioned by either law or culture that the mother holds a veto on the father’s contact? No. I don’t believe that for a moment. I think the reasons why so many men seem to believe that it is, are explained by many complicated factors. I set out below the ones which weigh on my mind and then some possible solutions or directions of travel. I don’t mind you disagreeing with me. There may be things I need on my list, or things you think shouldn’t be there. By all means raise this me, in constructive comment. But if you just want to insult me, I am unlikely to find that persuasive. Most mothers, most of the time, are primary carers of young children. Many men, quite a lot of the time, appear to see looking after young children as boring, unrewarding, low status and they don’t want to do it. 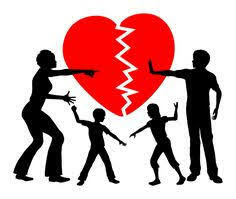 When parents split, the situation that existed before the split is likely to be maintained – i.e. mother as primary carer. Children aren’t parcels to be passed back and forth or a cake to be divided up between hungry parents. They need a home. They need stability, security and routine. Quite a lot of women seem to see their relationship with their children as essential to their own identity and become ‘over enmeshed’ with child; they over-react to imagined or perceived defects in the father’s parenting. For further comment on this, see this post about the Rebecca Minnock case. Quite a lot of people seem to enter into intimate relationships and share their genetic material with people they do not like, do not trust and cannot communicate with. The family courts does not have the tools needed to tackle the psychological dysfunction of parents. There is no easy access to therapeutic help or even supervised contact. there is a lack of judicial continuity as court loads increase but numbers of judges stay the same, or fall. Having a Twitter spat can be entertaining for a brief moment but its utterly futile if all it achieves is people shouting at one another across the electronic abyss. Here are my suggestions for some solutions. This almost certainly isn’t exhaustive. Please give me some more ideas. The very first step is that we MUST be willing to TALK to each other – not shout over one another. See for example Lucy Reed’s plea on Pink Tape. early, compulsory education about the realities of parenting and the need for BOTH parents to be involved. pre-martial couples counselling so people at least ask each other ‘do we want children together?’ ‘What would we do if we split up? Better access to advice for litigants in person; recognition that mediation is not the cure all for situations where there is an imbalance of power. More resources for the family courts so there are enough judges to hear cases quickly and maintain continuity. Recognition that CAFCASS personnel, social workers and private law children lawyers are more likely to be women. What’s going on here? Why don’t men want to do these jobs? Is it because areas of work dealing with children are seen as low status? better recognised and better funded pathways to assessment and help for those cases which are becoming intractable. And perhaps most importantly, and touched on by many at the conference and afterwards. DATA. DATA. DATA. What are the actual facts? What’s happening? What’s working? how can we get this data, interpret it and apply it? This is a clear and keen concern for many; see for example the recent speech by McFarlane LJ. The President hopes this situation will improve by growth of digital court and consequent ability to ‘mine’ digital systems for data. I hope he’s right. Sadly I have to edit this post following my Twitter conversation on 19/03/17 with Peter who appeared to be relying on what I published as ‘expert advice’ that men could simply attend a school and remove their children without consulting the child’s mother or asking her permission. I do not offer ‘advice’ over Twitter. It would be foolish and irresponsible in the extreme to do so. I don’t know your case, I haven’t read the papers, I can’t possibly understand what is going on. What I do – I hope helpfully – is attempt to explain general principles of law that may or may not apply to your situation. I also point out that you should ALWAYS take time to get particular advice tailored to your particular situation, before deciding to do or not to do something. If you are in a high conflict situation then I am afraid the practical reality is that the parent with primary residence does have an effective ‘veto’ on your actions, unless and until this can be resolved by you a) both talking to one another and sorting it out b) going to mediation and sorting it out c) going to court and getting an order to sort it out. PLEASE REMEMBER that just because something is technically ‘lawful’ that does not mean for one second that it is either advisable or sensible to do it. I know it is frustrating to feel that you have to dance to someone else’s tune, particularly when you know you have done nothing to merit being excluded from your child’s life. But if you go down the path, in high conflict situations, of insisting on YOUR rights being exercised in face of opposition from the other parent, I can predict with near absolute certainty that your future looks bleak, in terms of any hope for resolving your difficulties and co-parenting in harmony. I hope this is helpful Peter. The lives of families entering the child protection arena may be shaped by a range of troubles, including material deprivation, physical and mental health problems, and substance misuse or domestic abuse. Despite the interest in whole family approaches, the issue of how professionals fail to work effectively with fathers is long-standing and resistant to change. This article illustrates challenges in building working relationships with men, including the challenge of avoiding binary thinking in the assessment of fathers as “risk” or “resource.” Drawing on our qualitative longitudinal study of men’s experiences of child protection in England, we highlight how both organizational (clashing time perspectives) and cultural (gendered-thinking) factors can trouble the potential relationship between social workers and fathers. We argue for a more gender sensitive approach to social work practice, which can respond more fully and effectively to the experiences of fathers and mothers. This entry was posted in Other thoughts and tagged bias, intractable contact on March 19, 2017 by Sarah Phillimore.